…SLICK SPOTS ON AREA ROADS POSSIBLE EARLY THIS MORNING… THE RECENT RAINS AND SNOWFALL HAVE LEFT AREA ROADS WET THIS MORNING. WHILE TEMPERATURES REMAIN BELOW FREEZING…A FEW ICY SPOTS COULD DEVELOP ON THE ROADS. TEMPERATURES SHOULD WARM ABOVE FREEZING BY 10 AM WITH MOSTLY SUNNY SKIES OVER MUCH OF THE AREA HELPING TO MELT ANY ICY SPOTS. Kandice Delk, Topeka, girl, Feb. 2. Garyn and Angel Ward, Burlingame, girl, Feb. 3. Jorge and Bambi Martinez, Meriden, girl, Feb. 4. So reads the book cover for the soon-to-be-published novel by 17-year-old Kelsey Harwood of Perry. Kelsey Harwood, a junior at Perry-Lecompton High School, wrote the novel two years ago when she was 15 and “really, really grounded.” She decided to spend the time writing a book. Harwood, a junior at Perry-Lecompton High School, wrote the novel two years ago when she was 15 and “really, really grounded.” She decided to spend the time writing a book. The book of “90 some computer pages” took Harwood only “three weeks and a lot of Jones soda” to write. However, her first attempts at submitting her novel for publication were a long way from successful. “I got nine rejections,” she said. “The publishers all said I needed an agent or a published book.” While Harwood said she did get one agent, it turned out to be a scam. Finally, Featherweight Press became interested in the novel. Harwood said that while some proposed changes, such as how and why the invasion happened and needing additional details—were minor; one involving the death of one of the characters was unacceptable. 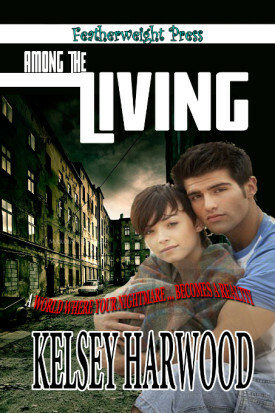 Kelsey Harwood's "Among the Living.” will soon be published. The edits took Harwood a couple of months to complete since she needed to work them in around her school schedule, a part-time job, and PLHS tennis. In addition to the edits, the book’s title was changed from “Still Alive” to “Among the Living.” And while the editor is still looking at those edits, her book is scheduled for publication sometime this year. The book, which takes place in the present time and begins in Hazelhurst, Ga., a town she found on Google maps, is set in different places across the country although Harwood says it stays more in the South. “It doesn’t go into specific details on the towns since I only had pictures to look at,” she notes. So what does the future hold for Harwood? Currently she has been asked to speak to a career class in an Overland Park high school where she’ll talk about how she wrote the book. So what advice will she give to others wanting to write a book? And even before she receives any royalties, she’s getting a few perks. Her brother, Zach, who’s five years older, gave her a zombie survival kit for Christmas last year. It appears she’ll be prepared if that zombie apocalypse ever really arrives. Agriculture producers are reminded that enrollment for the 2012 Direct and Counter-cyclical Program and the Average Crop Revenue Election program began Jan. 23 and continue through June 1. Counter-cyclical payments vary depending on market prices, and are issued only when the effective price for a commodity is below its target price (which takes into account the direct payment rate, market price and loan rate). Producers with an active USDA eAuthentication Level 2 account can fill out a DCP contract online. Two people escaped injury Friday afternoon when the pickup truck in which they were riding slid off the road and rolled over after taking a curve in the 2900 block of N.E. Meridan Road. First responders at the scene medically examined the two passengers of the truck that officers said hit a tree after it left the road. The impact caused the vehicle to roll and end up in a ditch. Neither of the passengers required hospitalization. First responders were called to the scene at 2:42 p.m. Friday. Rhea Kathryn Connelly, 90, Lawrence, formerly of McLouth, died Jan. 29, 2012, at Lawrence Memorial Hospital. She was born Sept. 8, 1921, at McLouth, the daughter of Daniel “Dan” Webster and Bertie A. Stigleman Jeffers. She had lived in McLouth most of her life and was a 1939 graduate of McLouth High School. Mrs. Connelly was a homemaker and had worked in the cafeteria of the Winchester Public Schools where she was active in the P.T.A. She was a member of the First Baptist Church of McLouth, a member and former chairwoman of the American Baptist Women. She married Marvin Thomas Connelly May 11, 1940, at Winchester. He survives at the home. Other survivors include one son, Gary Connelly, Lawrence; one daughter, Marion Tommer, Kansas City; four grandchildren; and two great-grandchildren. Funeral services will be at 10:30 a.m. Thursday, Feb., 2, at the First Baptist Church of McLouth. Burial will be at McLouth Cemetery. Visitation was from 6:30 to 8 p.m. Wednesday at the Barnett Family Funeral Home, 1220 Walnut (Hwy. 59), Oskaloosa. Memorials can be made to the First Baptist Church of McLouth and in care of the funeral home, P.O. Box 602, Oskaloosa, 66066. Westine A. Noll, 82, McLouth, died Jan. 24, 2012, at her son’s home in McLouth. She was born March 18, 1929, in Eads, Colo., the daughter of Roy and Laura Hill Anderson. She attended schools in Nortonville and began working at an early age. She worked for five years at the Elms Nursing Home, prior to its closing in Winchester before working at the Village Villa Nursing Home in Nortonville as a medication aide for over 13 years. She then moved to La Junta, Colo., and worked at the Copper Kitchen for five years before moving to Pasadena, Texas, to live with her sister until 2003. 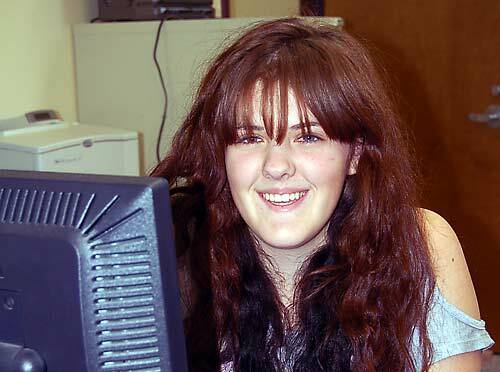 In 2003, she moved to McLouth. Westine and Lester Noll were married from Oct. 25, 1947, until Sept. 29, 1989. He survives. Other survivors include four sons, Duane Noll, McLouth, Ron Noll, Oskaloosa, Kieth Noll, Poplar Bluff, Mo., and Randy Noll, Nortonville; a daughter, Lorraine Glowczak, Portland, Mass. ; 12 grandchildren; and 13 (soon to be 14) great-grandchildren. Funeral services were Jan. 28 at St. Matthew Lutheran Church, Nortonville. Burial was in the Pleasant View Cemetery, Oskaloosa. Memorial contributions are suggested to Jefferson County Hospice and can be sent in care of O’Trimble Funeral Home. Christopher Lee Smith Reyner, 28, Grantville, died Jan. 27, 2012, at Stormont-Vail Emergency Room. He was born Nov. 7, 1983, in Grand Island, Neb. He graduated from Seaman High School. Surviving are his father Greg A. Reyner, Grantville; his mother, Roxie Montgomery, Topeka; and maternal grandparents, Ted and Jessie Mae Montgomery, Valley Falls. He was preceded in death by his paternal grandparents, George and Letha Reyner, Marquette, Neb. A memorial service was held at 2 p.m. Wednesday, Feb. 1, at Penwell-Gabel Parker-Price Chapel, 245 NW Independence Ave., Topeka. 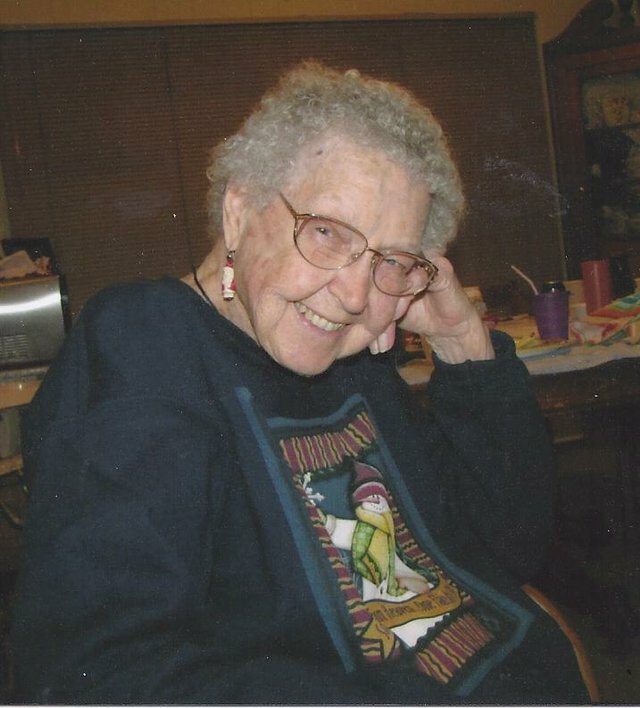 Ruby C. Bracken, 96, Topeka, died Jan. 22, 2012, in Hampton, N.H.
She was born in Valley Falls April 8, 1915, the middle daughter of Frank and Lena Krumrey Wunder. She attended the Rock Creek School District and Kansas State University. She was Kansas State Rifle champion and involved in photography. She worked as the national park photographer for Yellowstone National Park for a number of years and later worked as a photographer and a waitress for the famous Christian’s Hut Restaurant in Long Beach, Calif. She was also employed as an airbrush artist at El Segundo Air Force Base, in California, during World War II. She traveled abroad until the age of 88 and had resided in Spain for over 20 years. As an accomplished photographer and artist she was always involved in different art mediums. She worked in leather, wood, Japanese Sumi-E painting, and stained and fused glass. She was a member of the Topeka Bible Church and volunteered for many years at St. Francis Hospital in Topeka. She married Omer Victor Bracken, who worked for TWA for many years, and they traveled extensively around the world. While living in Saudi Arabia, the Brackens adopted their only son Moishe (Mike Bracken) Levi Ragieme in Beirut, Lebanon. She had two sisters, Norma Regier and Velda Allison, who preceded her in death. Services will be held in the Valley Falls Cemetery in late summer. A tribute has been set up with the Alzheimer’s Foundation at this address: http://act.alz.org/goto/Ruby.Bracken. Donations can be made to the Alzheimer’s Foundation or to a charity of one’s choice. Arrangements are by the Remick & Gendron Funeral Home-Crematory, Hampton. Every person from Kansas who joins the Arbor Day Foundation in February will receive 10 free Colorado blue spruce trees. The 10 free Colorado blue spruce trees are part of the nonprofit foundation’s Trees for America campaign. Arbor Day Foundation members also receive a subscription to the foundation’s colorful bimonthly publication, Arbor Day, and The Tree Book, which contains information about tree planting and care. To become a member of the foundation and receive the trees, send a $10 contribution to Ten Free Colorado Blue Spruce Trees, Arbor Day Foundation, 100 Arbor Avenue, Nebraska City, 68410, by Feb. 29 or visit arborday.org/February.